The Easter Stages Rally will again replace the Circuit of Ireland in 2019. It will take place on Good Friday and Easter Saturday next year (April 19-20) and will be round three of the premier Irish Tarmac Championship. 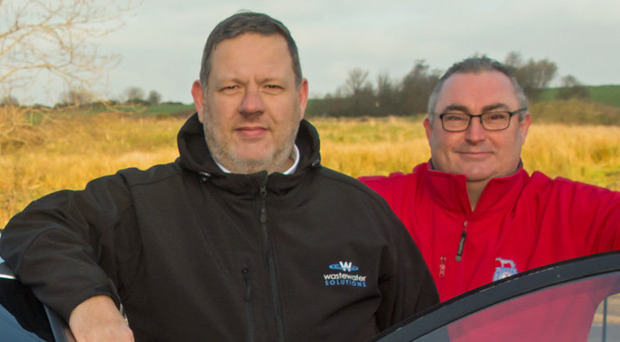 While speculation continues to surround the return of the Circuit of Ireland in 2020 as a possible round of the World Championship, the Ulster Automobile Club are pressing ahead with their substitute event and have secured a three-year sponsorship with Wastewater Solutions. The Easter Stages will be based around the Antrim/Lisburn area with rally headquarters in the Chimney Corner Hotel, Newtownabbey. The centralised service area will be in the Dundrod Motorsport Centre. The rally covers 100 stage miles and 200 road miles over classic and new stages, with three stages twice on Friday and four stages twice on Saturday. Event director Graeme Stewart said: "It's a fantastic boost to have Wastewater Solutions on board for the next three years; our intention is to make this one of the best events in the country. "The compact nature and cost friendliness of the event is designed to attract the top international and clubman drivers in Ireland and the UK. We look forward to driving this on." Full details of the 2019 Tarmac Championship have yet to be announced but the traditional opening round, the Galway International, is back in February. It did not take place last year in the midst of a Motorsport Ireland insurance crisis. It will be a one-day event on February 10, instead of the usual two. Clerk of the Course Gary Leonard says the call was taken after consultations with competitors and Championship organisers. "It became clear that a one-day, competitor-friendly rally would be the ideal format to firmly re-establish the event on the MI and ITRC calendars," he said. The West Cork Rally in March will be round two of the Irish series and is also part of the British Championship for the first time. The Rally of the Lakes (May), Donegal (June), Ulster (August) and Cork '20' (October) internationals are expected to complete the seven-round Championship.